Groove Distribution :: :: Singles :: Downtempo, Leftfield :: Hotmood/HOTMOOD VOLUME 4 12"
Home : : Singles : Downtempo, Leftfield : Hotmood/HOTMOOD VOLUME 4 12"
Mexico's HOTMOOD brings the heat. After sold out releases on TUGBOAT EDITS the 4th volume drops on sister label STAR CREATURE. Featuring 4 supreme cuts in HOTMOOD's signature beatdown style. 3 uptempo floor fillers and the 4th is a real scorcher: "WELCOME TO THE BARRIO". Act fast! 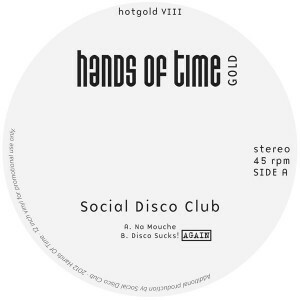 Hotmood/BURNING DESIRE EP 12" Hotmood/DISCO DE LOS MUERTOS EP 12" Hotmood/DISCOTHEQUE DEPENDENCIES EP 12"
Hotmood/HOT TO TROT EP 12" Hotmood/HOTMOOD VOLUME 1 12" Hotmood/HOTMOOD VOLUME 10 12"
Hotmood/HOTMOOD VOLUME 2 12" Hotmood/HOTMOOD VOLUME 3 12" Hotmood/HOTMOOD VOLUME 5 12"
Hotmood/HOTMOOD VOLUME 6 12" Hotmood/HOTMOOD VOLUME 7 12" Hotmood/HOTMOOD VOLUME 8 12"
Hotmood/HOTMOOD VOLUME 9 12" Hotmood/MR. FUNKYMAN EP 12" Hotmood/TROPICAL EP 12"